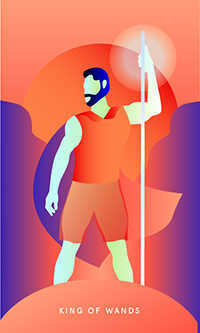 Stay balanced and use power wisely to set a good example. 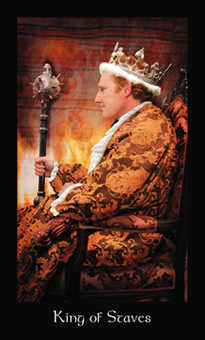 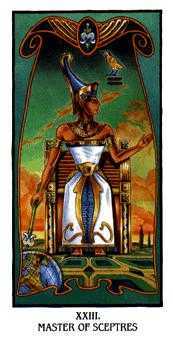 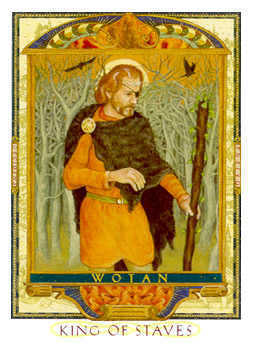 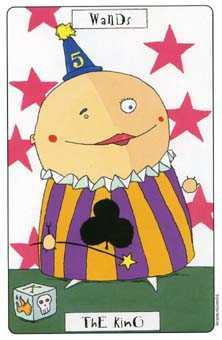 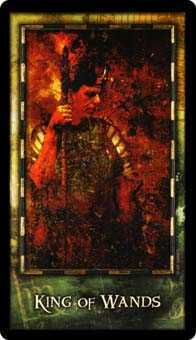 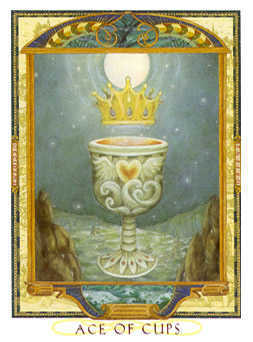 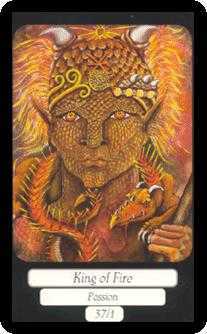 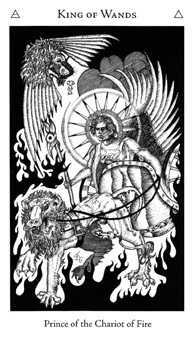 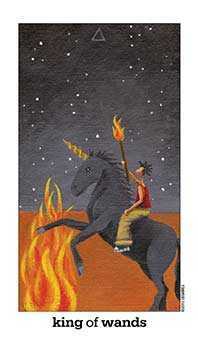 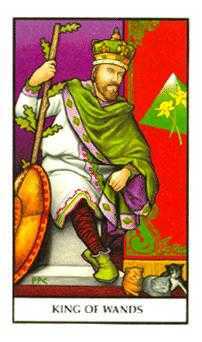 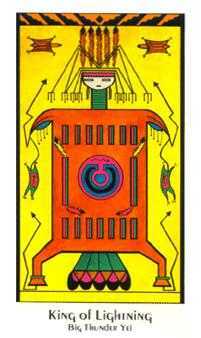 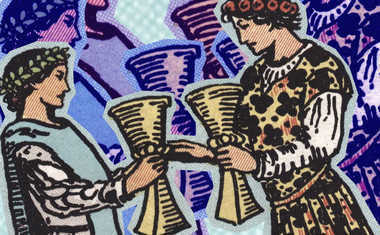 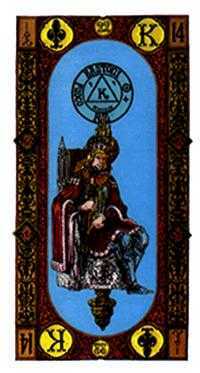 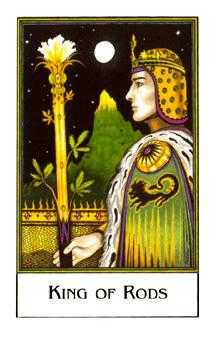 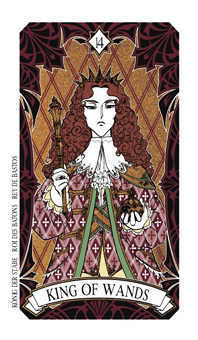 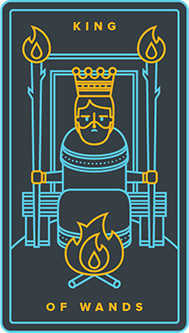 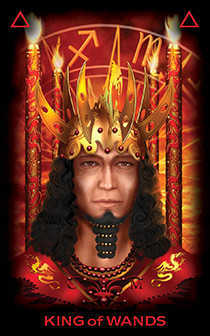 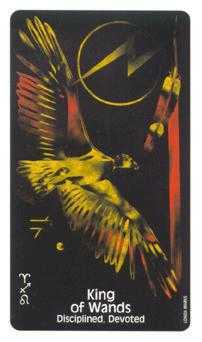 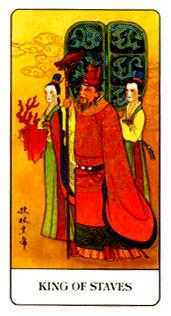 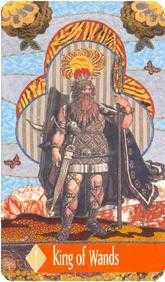 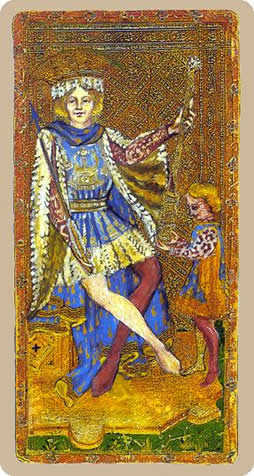 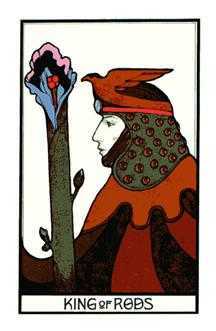 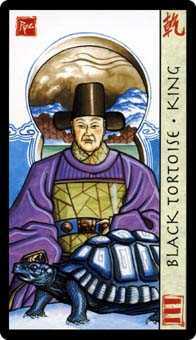 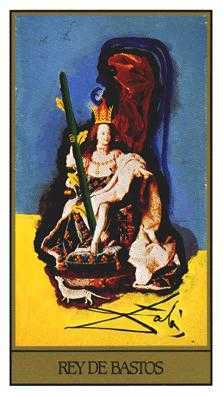 Traditionally representing the energy of a dynamic King, this card represents the classic conquering hero. 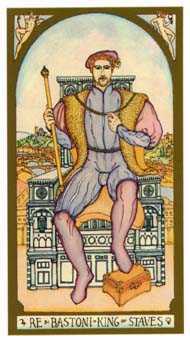 He's a charismatic leader, entrepreneurial and ambitious, always creating new adventures. 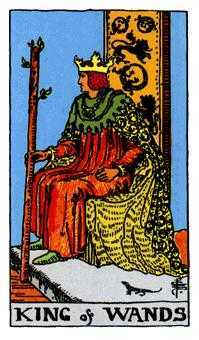 He does this because he doesn't like to stay home or to have to "mind the store" -- he gets to feeling restless and bored with the predictable. 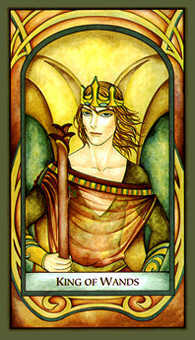 If you need a crusader, or someone to take on a big challenge, he's your man. 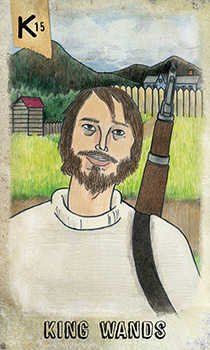 He needs a big assignment, and would rather lead than follow. 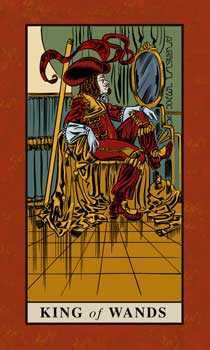 It could be said that he has a bit of an ego, as evidenced in his enjoyment of flattery and praise. 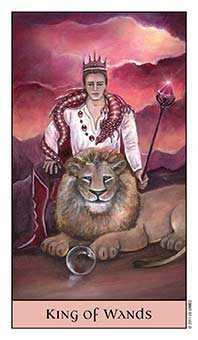 A bit of a performer, he overachieves in situations where it will be noticed, but in private he wants to be served and adored like the head lion of a pride. 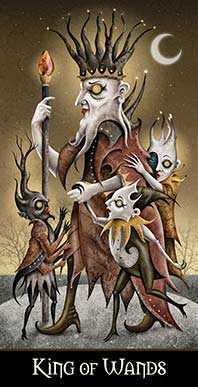 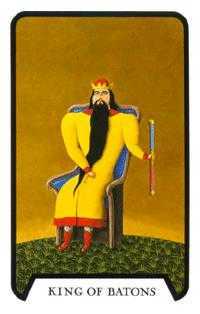 A benevolent dictator, he makes life wonderful for those he loves and just the opposite for those who displease him. 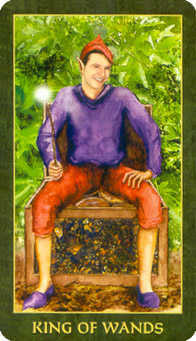 The possibility of success is open to you. 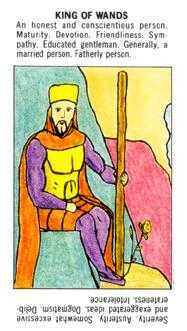 There are no substantial obstacles. 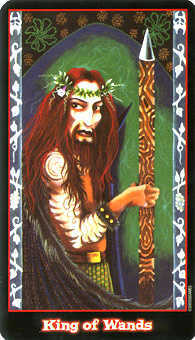 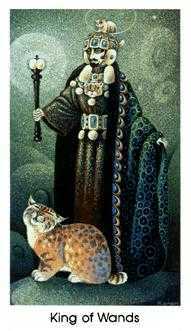 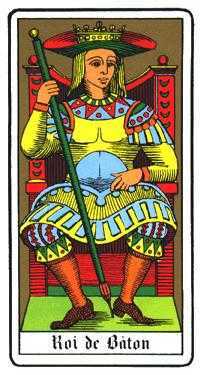 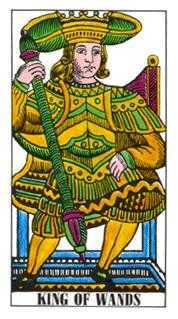 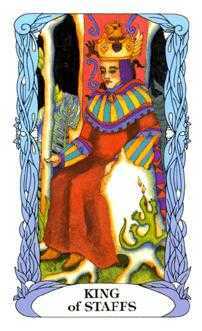 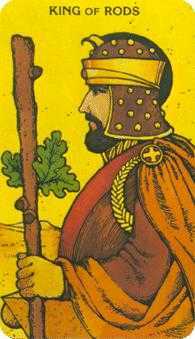 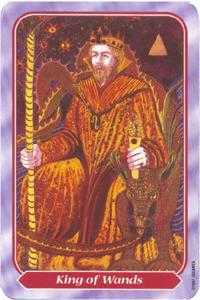 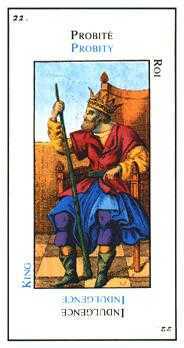 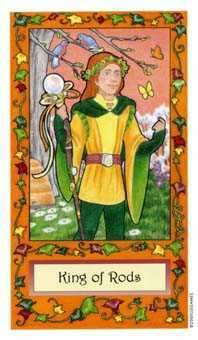 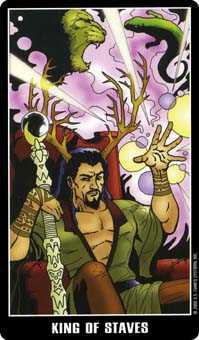 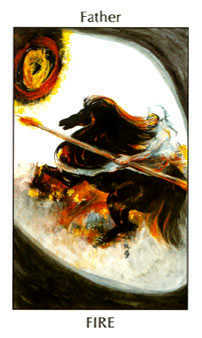 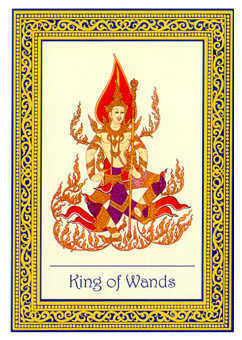 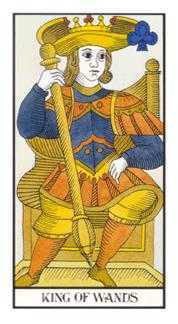 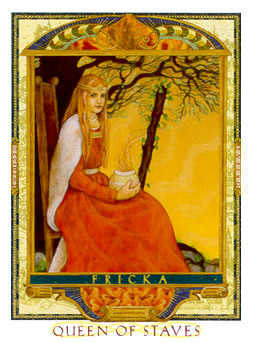 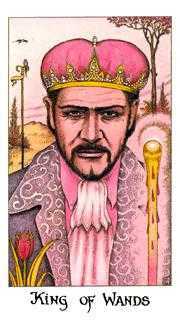 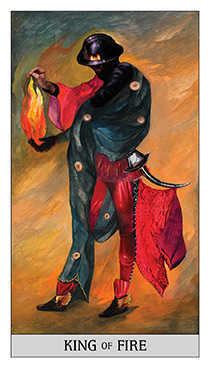 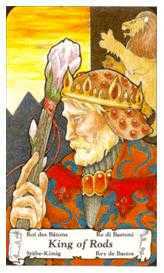 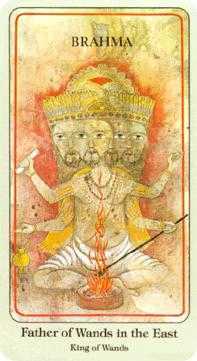 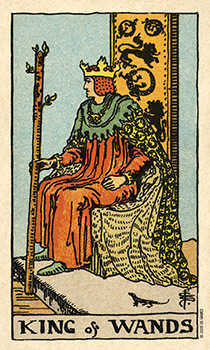 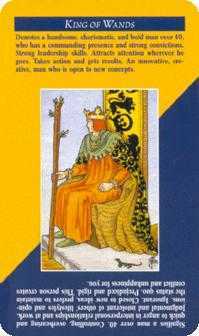 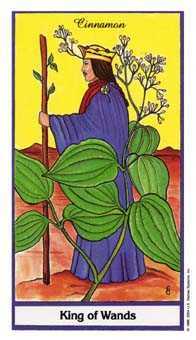 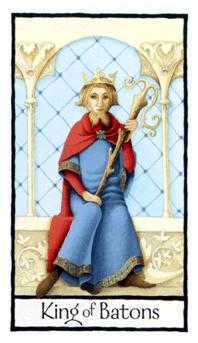 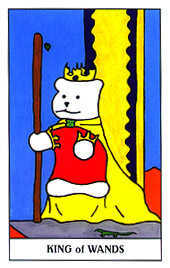 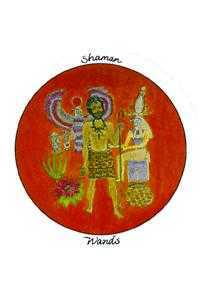 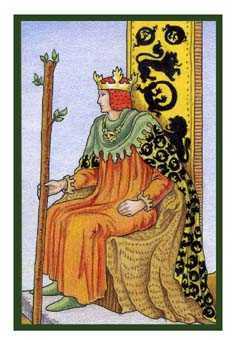 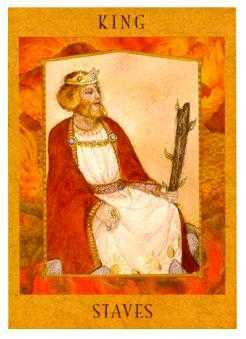 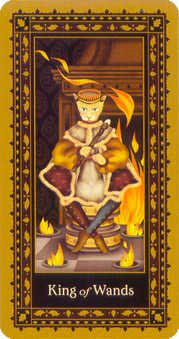 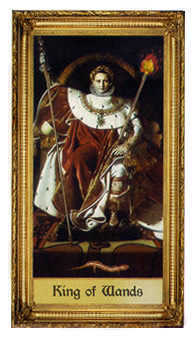 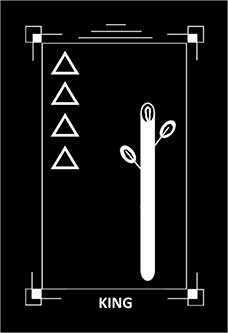 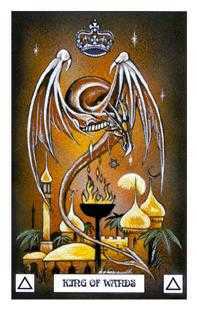 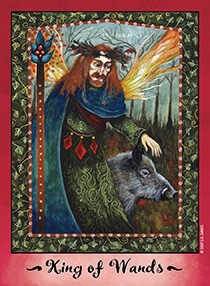 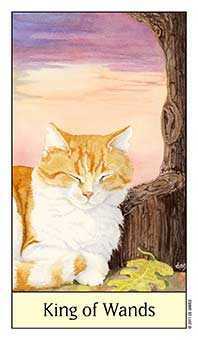 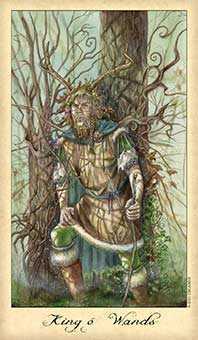 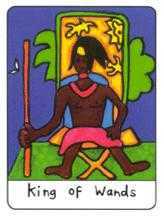 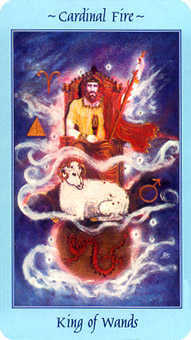 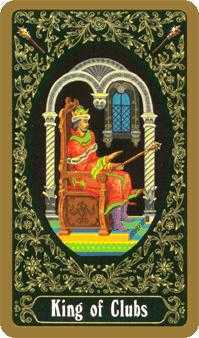 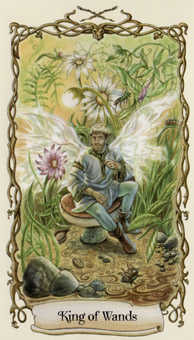 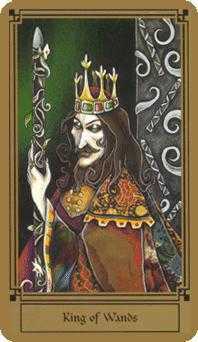 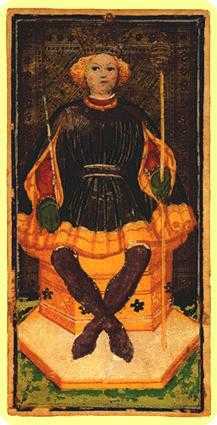 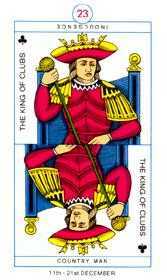 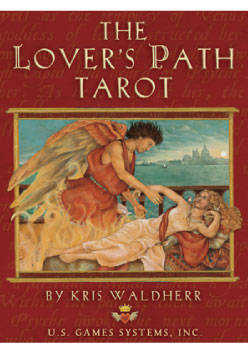 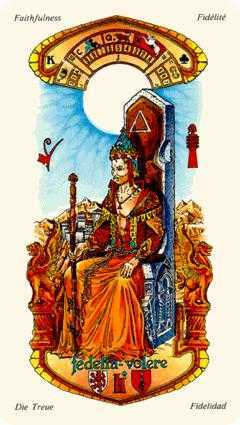 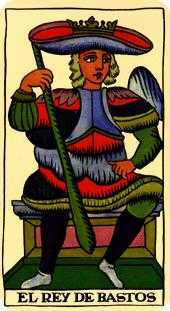 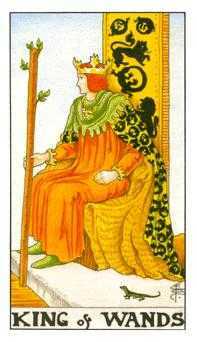 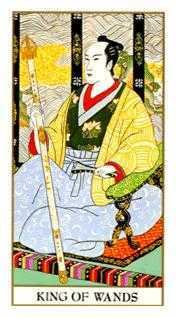 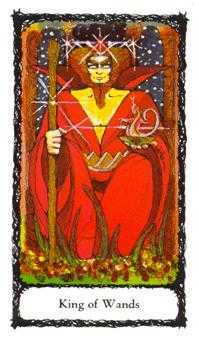 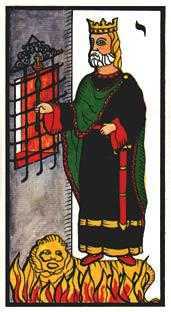 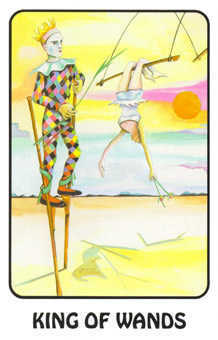 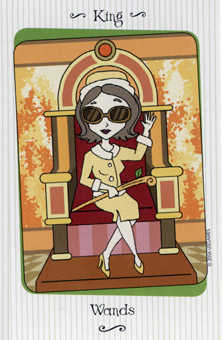 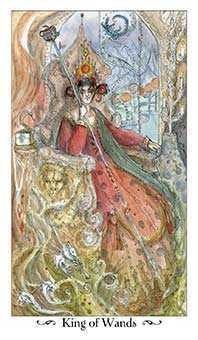 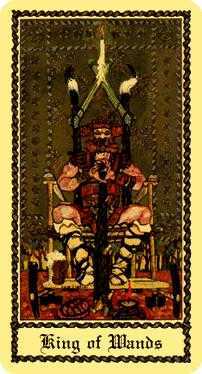 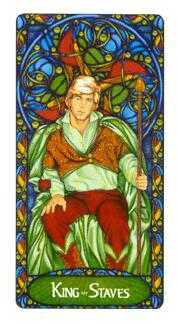 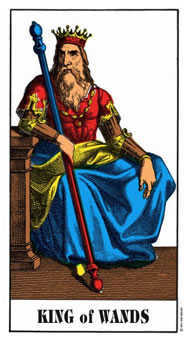 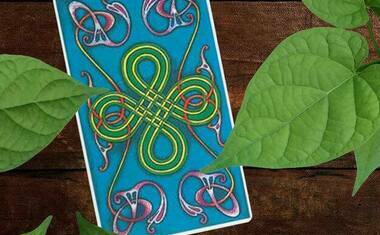 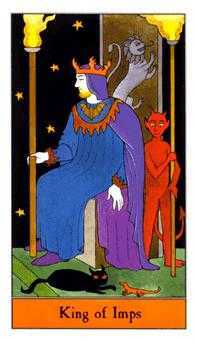 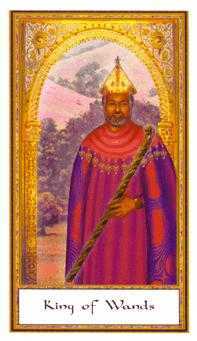 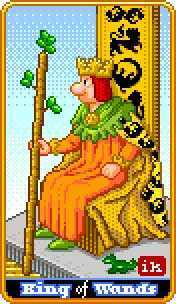 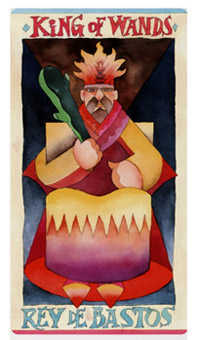 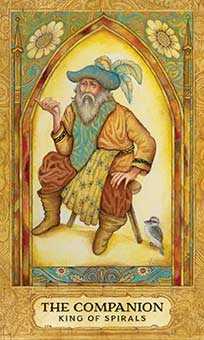 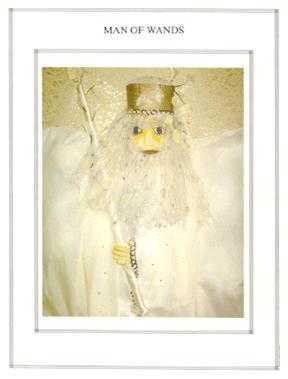 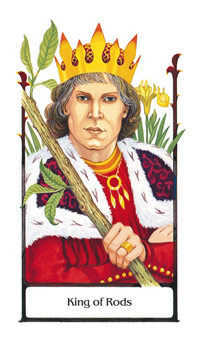 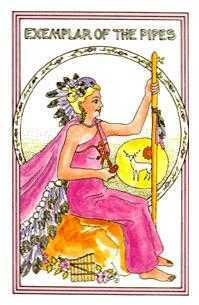 The King of Wands in this position reminds us that our lives are designed to bring us eventually to a place of self-ownership. 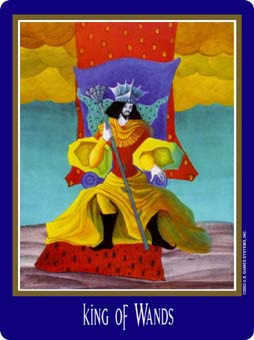 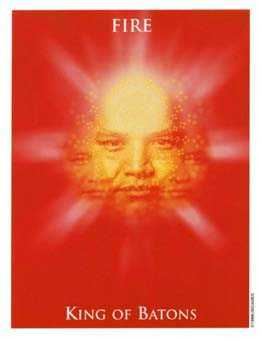 An opportunity for self-empowerment is presenting itself to you now. 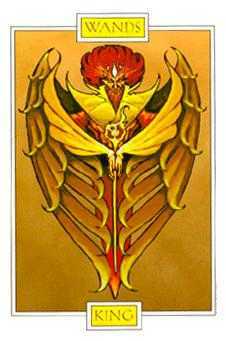 Recognize that through your attitude and the way you express yourself to others, you hold the power over your own experiences in life. 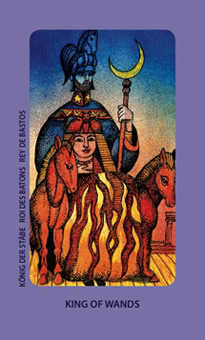 You are the determining factor in this situation and circumstances will proceed in the direction that you steer them. 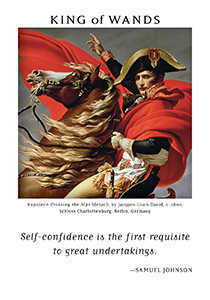 Indecision or doubt are not appropriate responses when clarity and confidence are critical. 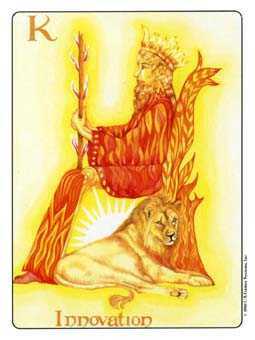 As you take on a bigger role, it will begin to feel more comfortable. 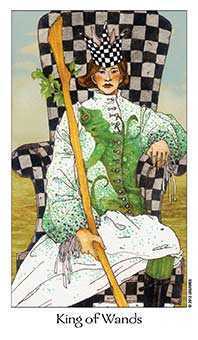 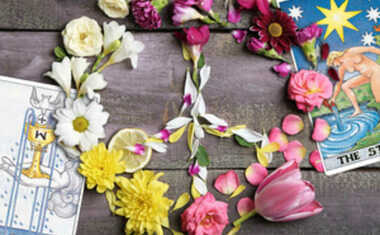 Seize the opportunity to influence events, because everything is waiting for you.